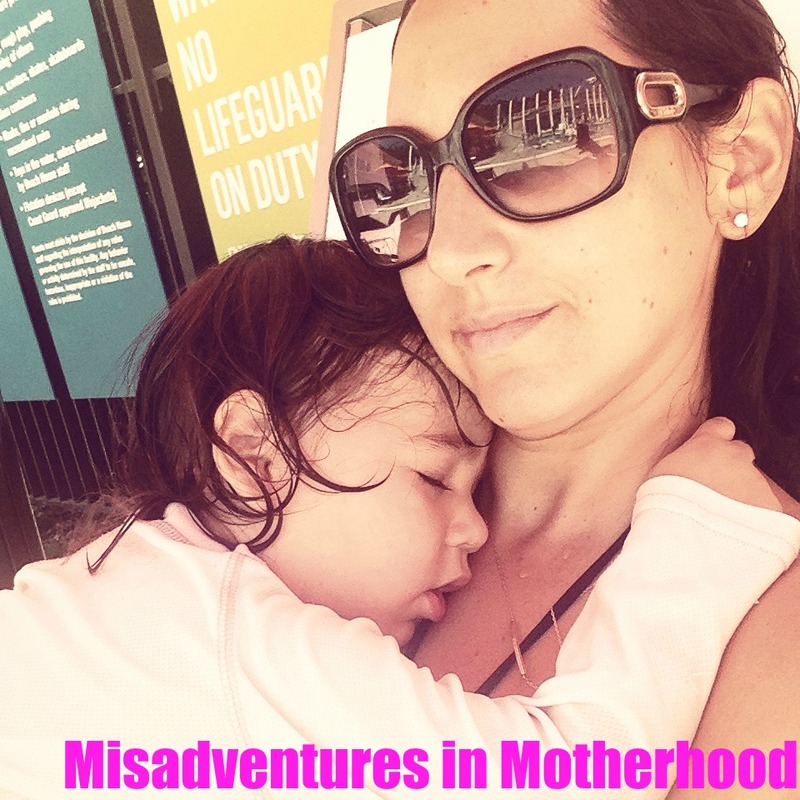 Misadventures in Motherhood: Motherhood, Inc.
There’s nothing like unexpectedly bumping into an ex to make you question your life choices and wonder how, exactly, you find yourself at your current life juncture. With one pointed question I actually left my body, saw the old Allyson cringing at the responses this new person masquerading in my stead was mouthing, and then, in that exact moment, realized that I needed to do something to correct that. Here's what Mr. Not-so-Wonderful asked: "So...aren't you going crazy?" Setting aside just exactly how rude this and the all-too-often asked “what do you DO all day” question are, I found myself in a tailspin. I think I mumbled something relatively sound-bite friendly and politically correct, but I’m pretty sure my performance didn’t win me any gold statutes. The truth is, the Type A person I used to be am constantly wrestles with what my next move will be. And as a Libra, we tend to suffer from the Hamlet complex; i.e., we endlessly vacillate about a decision. I’ve taken my new 1.5 hours per day of freedom (thank you, preschool!) and come up with a few answers to the interview questions I'm sure to field should I decide to return to the corporate world. INTERVIEWER: What have you done in the past three years that would be applicable to today’s job market? Do you think you can get over the hump of having “lost your edge?” What do you think qualifies you as a good candidate for this position? ME: Really, I could qualify as the CEO at this point. If there’s a problem in the organization that can’t be sorted amongst the management ranks, it immediately comes to my attention, and gets dealt with efficiently. In the past three years I’ve played various roles within the Haas Organization. These roles include, but are not limited to: CFO; managing funds and making sure each account is kept not only in the black, but on track for steady growth. This includes keeping a keen eye out for potential investment opportunities (read: real estate market) to determine when is the best time to maximize assets and engage in change. ACCOUNTS PAYABLE. I’ve ensured that everyone who has provided a service to our home has been paid fair market value for his or her work and in a timely fashion. I’ve also ensured (at one time or another) that all bills are paid on time, including but not limited to: cell phone bills, cable bills, the mortgage, pest control service bills and credit cards. I’m also quite adept at HUMAN RESOURCES as well as RESEARCH & DEVELOPMENT. Air conditioning broken? I’m now a resident expert on the latest in aircon technology and terminology and can point you to a wide range of options to best suit your budget and needs. This also makes me an expert in SALES & MARKETING. Leak in the guest bathroom toilet? I can efficiently handle its resolution before the water gets to be an inch deep. Since I can’t fix it myself I have compiled a list of capable folks to whom I can outsource the task. And rest assured the project will be complete within one business day. SOCIAL MEDIA MANAGER. I can efficiently navigate the latest trends in social media and keep an active presence and working knowledge of their ever changing platforms. EVENTS COORDINATOR & TALENT DEVELOPMENT. I’ve consistently kept my team involved in and surrounded by experiences and activities that have enriched, unearthed and grown their individual abilities to make them realize their full potential. In addition to having experience with these various roles, I’m also an excellent multi-tasker; I can craft a blog post, make dinner for a toddler AND a puppy all while conducting a telephone conversation, running a bath and entertaining said toddler who is not so patiently waiting for that dinner to be ready. I’m flexible and adaptable to changes in the marketplace and can react accordingly; Hell hath no fury like a toddler who was promised an activity only to find out that activity is closed on that particular day. Quick thinking and a quick wit have saved me many a day. Essentially, the only position I might NOT qualify for in your organization is ACCOUNTS RECEIVABLE as I have yet to see a dime for the work I’ve done. This sad fact also catapults me into being in a prime position to serve as INTERN; overworked and under appreciated yet willing to do the work with a smile and a "yes boss" reply. It turns out that Motherhood may have been the best preparation for re-entry into the workforce. Now I just have to polish up my resume and find some time to shop for a few professional outfits; I suspect that in the real world paint-stained sweatpants may not pass muster even on causal Friday.